race for everybody who just wants to race! 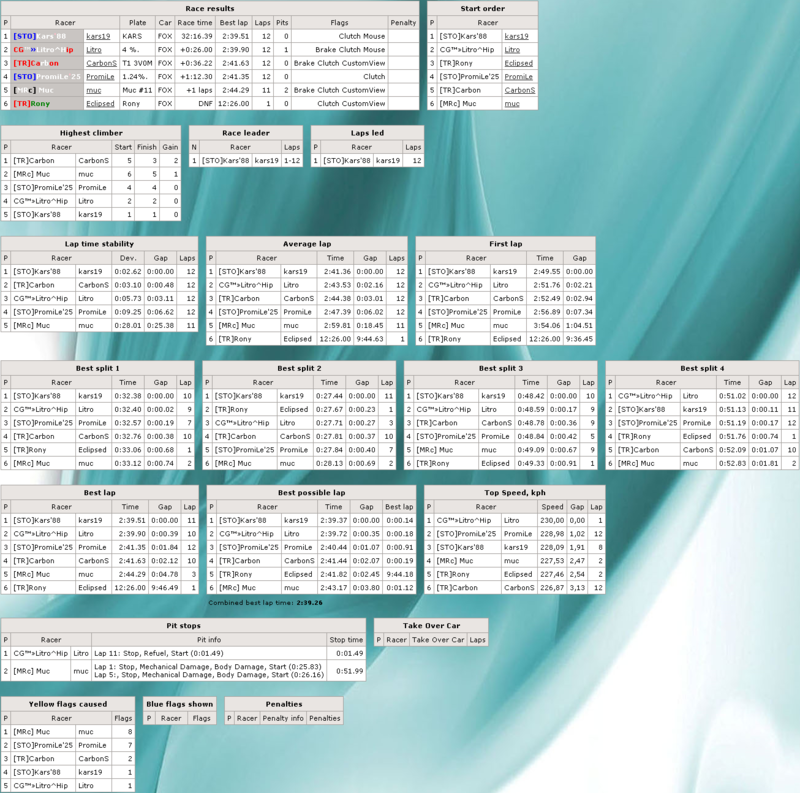 come to server until end of qualification and join! Information about combination of car and track will be posted here at least 24 hours before event,usually in sunday. 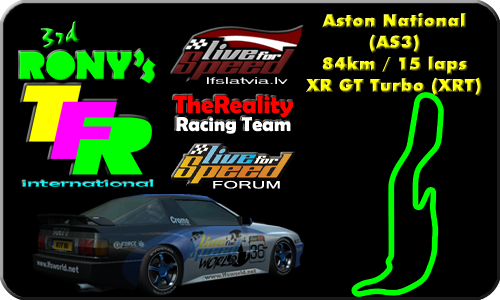 The combination will be chosen by me (Rony) and will follow simple princips - one event will be with non-slick tyre cars, next - with slick tyre cars and so on, cars and tracks will be chosen to make most possible variation of cars and tracks. 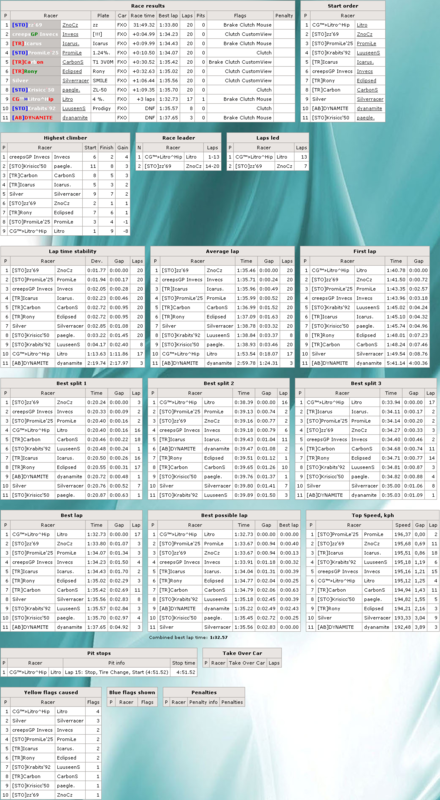 Qualification will be 1 hour long (so everyone get's enough practice without coming earlier) and race will be calculated to exceed 30 minutes lenght (usually 30 minutes + 1 lap or 2 laps if track is very short). 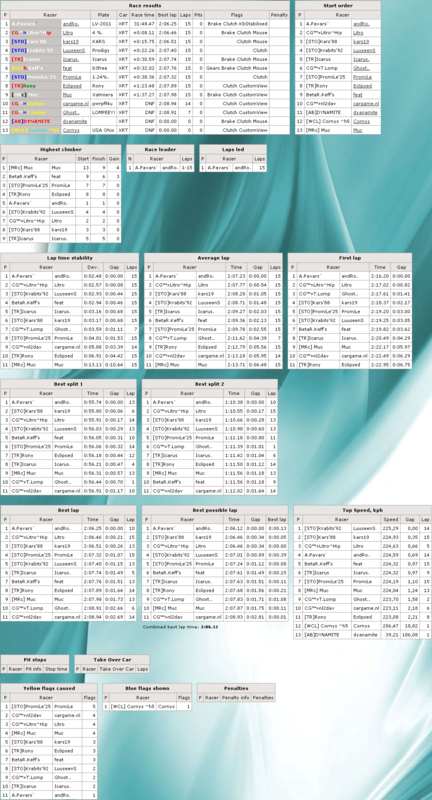 This event has it's rating system and statistics, spreadsheets of these can be found HERE, all previous winners and rating top10 drivers will have a chance to join race even without qualification if there still are empty starting places (all others must put a qualification time in order to be allowed start at race). 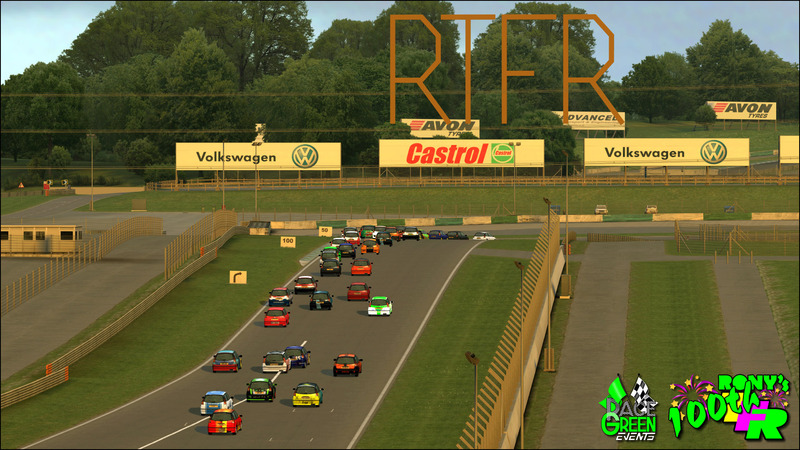 * though this is just a fun race, so rule book won't be as long as race distance itself, but everyone should follow basic car-racing rules (like rules of clean racing) and keep sportsmanship in mind, so everyone can have clean racing fun in this event! Respect BLUE FLAG - you may not interfere passing maneuver of lapping car! In qualification - you may not disturb passing car in any way. Be careful at YELLOW FLAG - slow down if necesary, be ready to avoid crashed cars. Crashed drivers must make sure that their return to racing won't cause other incidents. No shortcutting in any way. 2 wheels must be on track every time. Usually there will be a layout to prevent shortcutting - if so,moving objects (like posts,tyrestacks,bales) should not be touched for legal lap. Don't cross the pitline with more than 2 wheels and make way for cars racing at full speed. Be careful while racing, avoid any contacts with other cars. No crashing, ramming or any other unsportsmanlike behavior at any time. Drivers with high and/or unstable ping will be asked to leave if not improving it. 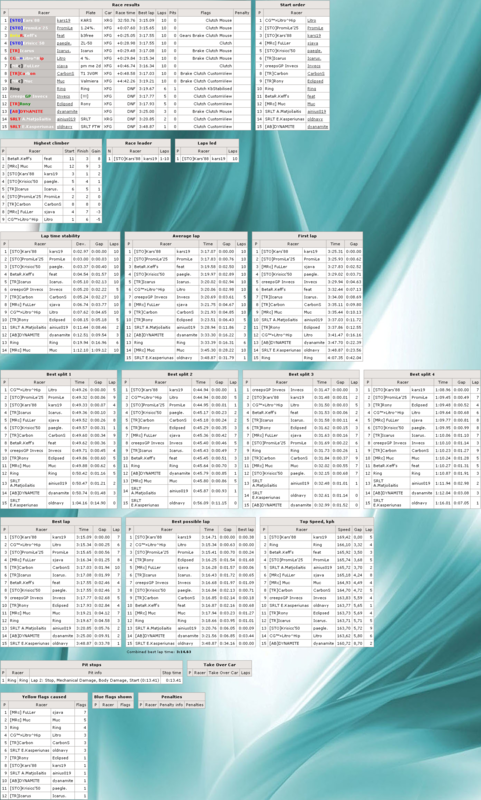 No voting for restart/qualification/end race after qualification start (unless command is given to vote for start). Chatting during race is not forbidden, but pressing binds and (especially - unnesecary) texting too often can result in penalty. This is specifically an individual event - every driver has to drive himself,no driver swaps are allowed. In case you have any protests (crashing,blocking etc.) against somebody,please post them in this thread as soon as possible (best - right after race)! 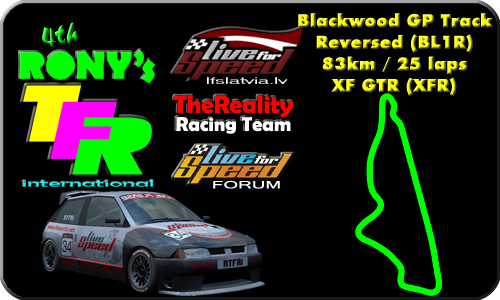 All protests will be reviewed and reckless drivers will be banned for futher events to keep clean and fair racing! 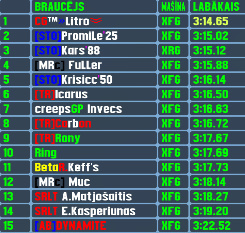 In case you timed out, crashed, run out of fuel and you have completed full 50% of race distance, please spectate and don't join again - replay will be analized with LFSstats and you will be added to final results! If you did rejoin in such situation, but still want to be added to results, you will have to inform event admins in server or post request in this thread. Last edited by Eclipsed, Fri, 30 Mar 2012 07:21 . 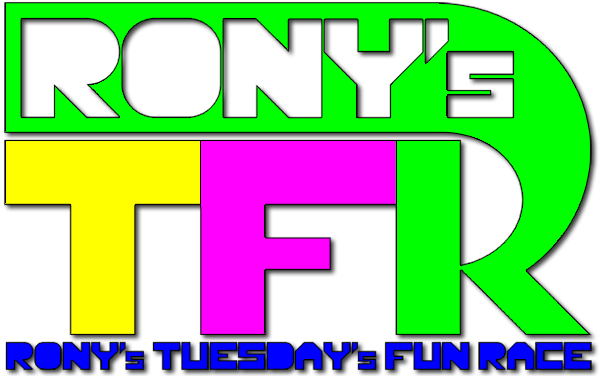 Reason : Added info+results for 1st &amp; 2nd RTFRi,and picture update. OK, first and last time I took part of this crap. 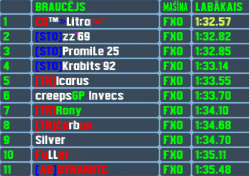 First the organizer uses me as a moving brake wall for six laps (****ing up my tires) while he is 2 seconds faster and in the last lap I loose connection to the server. Great waste of time, thanks! lol, I never could compete in an XRT, so I really don't know how the event went today. I did loose connection in the middle of the race too. Hmm allright, maybe I overreacted a bit because I had to delay my dinner for this as well but eehhh... It was a bit disappointing. (I hate failing server connections). Quote from cargame.nl : OK, first and last time I took part of this crap. Well,I'm sorry for those 2 bumps - misbraked myself,after them I gave you some gap so I didn't overtook you with such a "dirty" move. I wanted to overtake cleanely,when I got such chances,I blew them. That's sad when you call this event a waste of time,but it's your call,your choise. 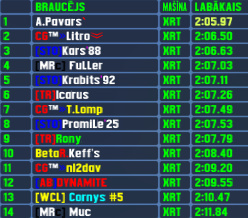 Was very nice race. To overtake andro was impossible. The only opponent was Kars, who went a bit behind of me in first laps, but during a race, he went closer and closer, but failed in last lap T1. So I could finish in stable 2nd place. 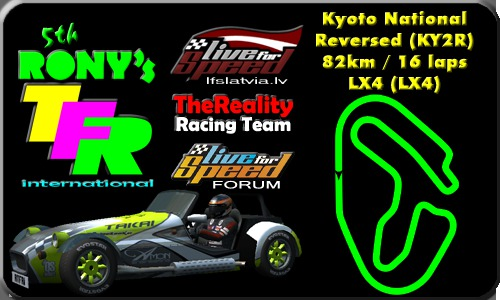 Tnx for the race Rony I like AS3, it's a simple trakc and overtaking is really easy here (didn't happen much in this race):expressio Andro was in his element doing +0,3 sec in qual and ~+0,8 in race from WR Litro was also fast my concentration was bit off at the first few laps, I could not keep up with the leaders, but later I found my pace and started gaining Litro until the last lap where i made mistake and lost my last possible chance. I wish I could make it to more of these, (perferably ones that were more in my preferance) but I'm at school at this time usually. I only made it to the race Tuesday because of a snow day. XRT is probably my least fav. car on LFS lol. Last edited by PromiLe, Thu, 10 Feb 2011 07:19 . Last edited by kars19, Wed, 16 Feb 2011 22:38 . Quote from Foqs : pass? 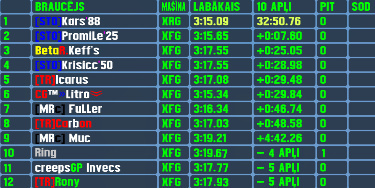 Event rating leader Kars wins his 3rd RTFRi event,so now he won half of these fun races. 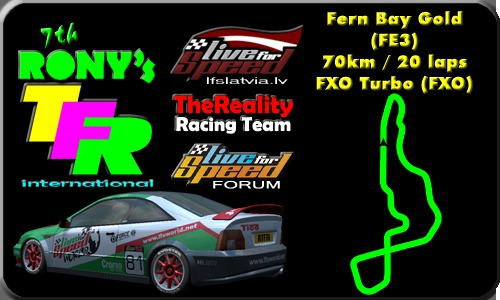 Unfurtunately interest about this day's race was very small and only foreign driver,who was interested to start,came late and didn't post qualifying time,so for 2nd time in row this international event was finished by only latvian racers. Let's hope after two weeks someone will throw a challenge in next event in which we will drive with a non-slick tyre car! 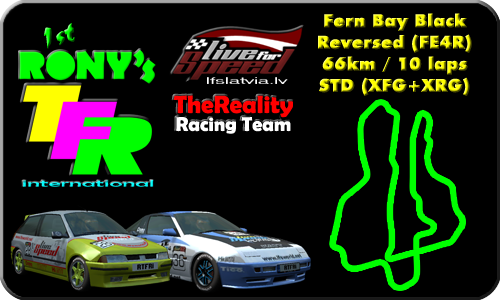 The 7th edition of this fun race will be held in sunny Fern Bay's most popular configuration Gold with LFS's most powerful front wheel drive car FXO! If I still have same network issues troubling me for last few days,event main admin will be my teammate Carbon. 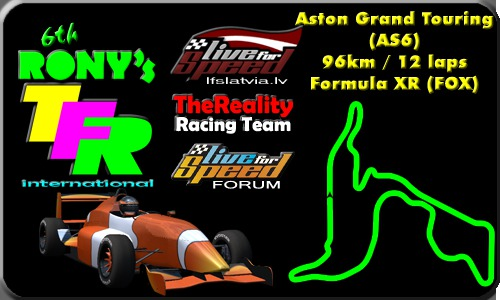 STO's zz is 5th driver,who managed to win this event,but Litro is now 2nd driver who scored 2 pole positions. Despite Kars' absence today,he's still events rating leader without any doubt. 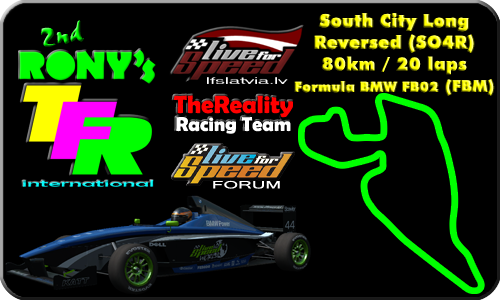 After 2 weeks we will have some faster action racing with some of slick tyre cars!